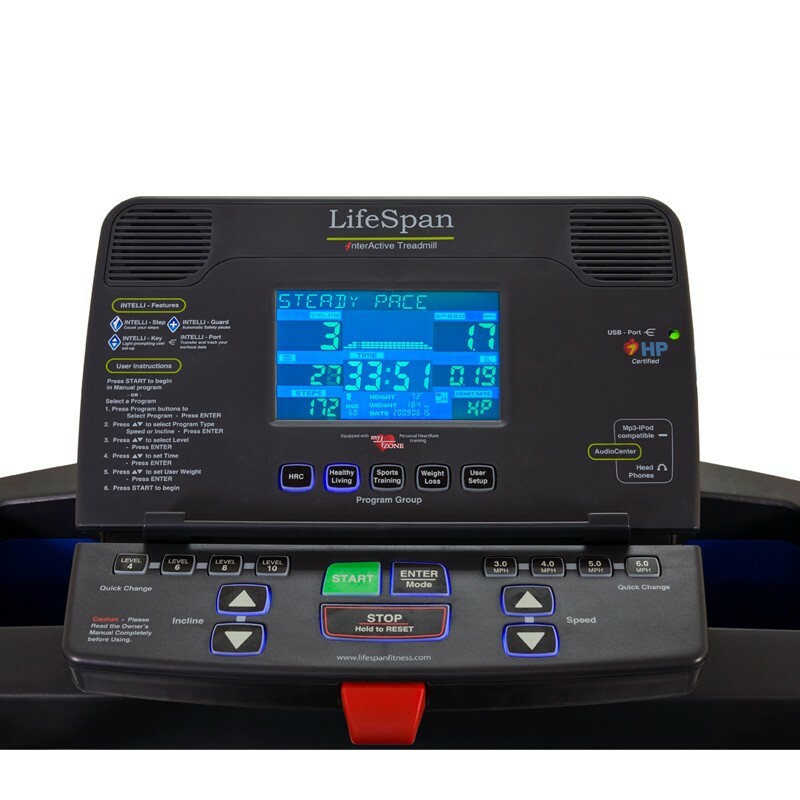 Lifespan tr4000i Review for busy people. Finding time to exercise is a never ending problem. 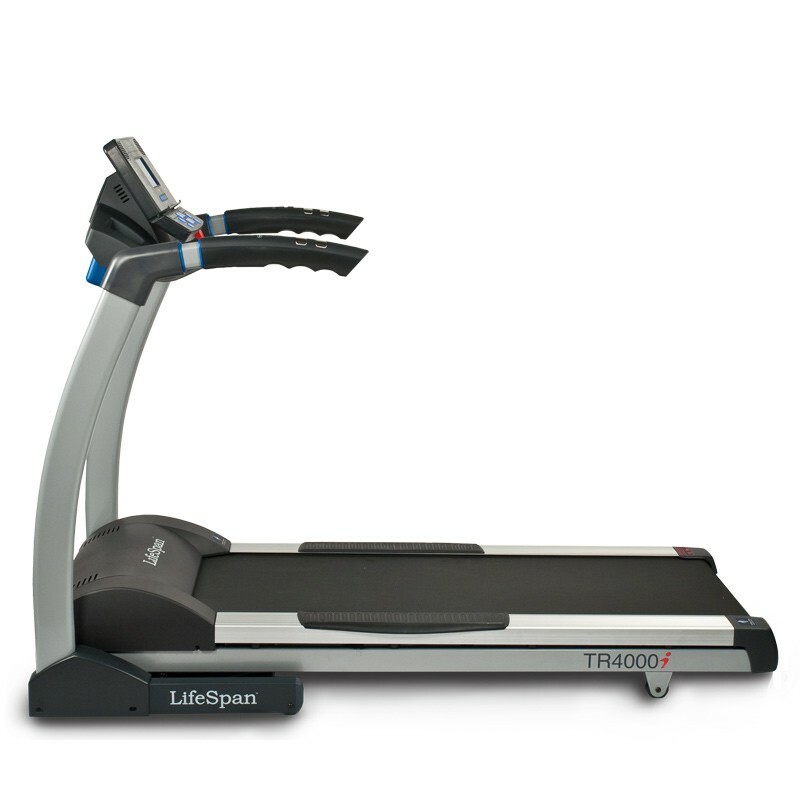 With the Lifespan tr4000i, you can make getting your work out in so much easier! This treadmill will fit into your busy lifestyle and let you enjoy your work out at the same time. Stop wasting precious time driving to the gym, showering there, and getting back home. You can have your own gym at home at a reasonable price and with minimal space! The Lifespan tr4000i is great for anyone that wants a treadmill but doesn’t have all the room in the world to keep it as a piece of furniture in your living room. Particularly, if you have a small apartment. You can fold this thing up and shove it in a laundry room or even under the bed while you entertain. Pull it back out and set it back up in minutes to get your run on! If you are incapable of lifting at all, this treadmill is not for you. While this machine does make it extremely easy to fold up and put away, there is still minimal lifting involved. Also, if you are looking for something with live or streaming videos, this treadmill won’t be a good fit. The Lifespan tr4000i has an endless list of features that will leave you a happy customer. Whether you want to start out at a slow walking pace to get back into exercising, or want to train for that 10k you always dreamed of running, this machine has it all. It has a 3.25 horsepower motor that will let it go up to 12 mph. Want to go for a hike in the middle of winter? No problem! This device can incline up to 15 percent. With the built-in cooling fan, you will feel like you are out on a mountain hike! Ok, maybe it’s not exactly the same but work with me! It will help compete with those winter blues at least. Still looking for more? This machine has it! If you don’t like the 21 workouts built in to the system, the treadmill does sync with popular fitness apps. It even tracks your information to a USB. You can then upload that data to Lifespan Fitness Club, an online health-management program that’s included with your purchase! This makes it easy to make the fitness program you desire. You can monitor your progress and reach the goals you desire all with one device while tracking: time, calories, distance, steps, heart rate, speed, incline level, pace and elevation change. Make exercising comfortable again. Stop getting ready to go to the gym and just do it. With 8 absorbing shocks, your joints and muscles won’t be killing you afterwards. You will get a good workout in without the impact of running on a lessor treadmill. Groove to your own tunes with the audio port and speakers. Simply plug your iPhone or iPod in and go! While this baby can hold up to 350 pounds, you can still easily fold it up and put it away. It fully supports its weight as it opens using hydraulic shocks. Get up early, unfold, workout, and fold it back up. You just shaved off at least an hour of your morning not going to the gym! Lifespan goes above and beyond with their coverage and customer service. There is lifetime coverage for the frame and motor. The device’s parts and electronic gear is covered for five years. Finally, one year of labor is covered. This is almost unheard of in other products! Not to mention, the customer service agents are super friendly and helpful if you do run into an issue. Forgive the pun! Like any other product, there are some drawbacks. While there are many apps that work along with the Lifespan tr4000i, it is not equipped with interactive videos or web browsing. Also, if you are a Bluetooth fanatic or have some Bluetooth equipment already, you have to buy an adapter through Lifespan to use it. Not that big of a deal really, but it is an extra piece of equipment to purchase. The biggest complaint I’ve heard is that there isn’t a touch screen. In a society where nearly everything is a touchscreen now, I can see where this may be frustrating for some. However, I certainly don’t think it’s a reason not to purchase it. Are you still not convinced? 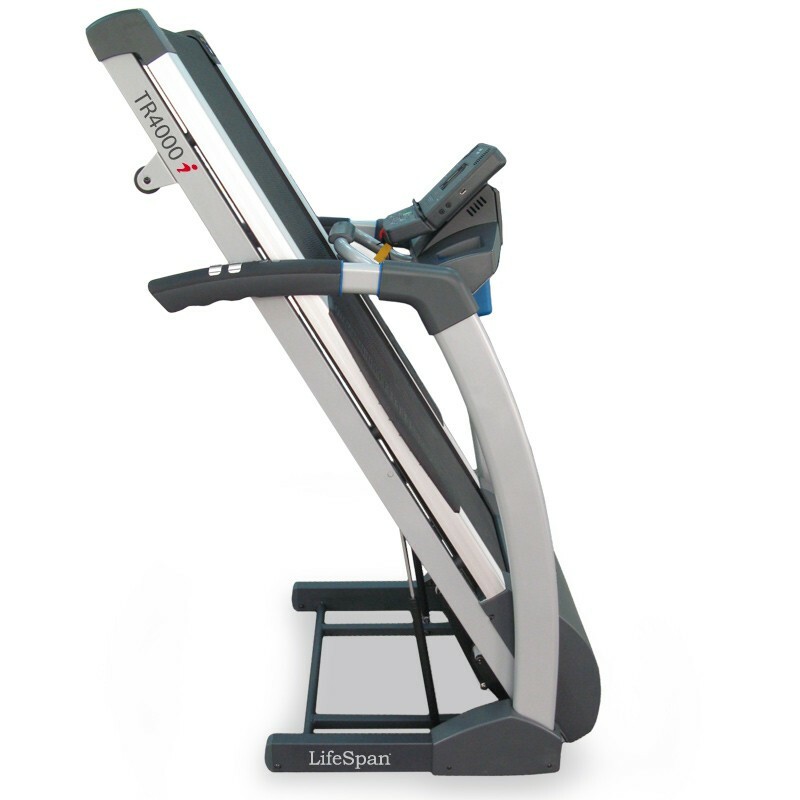 The Lifespan tr4000i was rated the number one treadmill by Health Magazine! How can you compete with that? It has great ratings among consumers. I think a huge part of that is owed to their customer service and warranties. Knowing you have that, makes any frustrating situation that could arise into not a big deal. There is an overwhelming amount of treadmills out there to choose from. Let’s look at why the tr4000i is better. These two are closely related but there are a few differences. For one, the tr3000i doesn’t have an automatic stop sensor. Trust me, you want it. What if you get up at 5 am to squeeze in a workout for the day only to find you are just too tired. If your feet quit working and you fall (gasp!) the tr4000i is going to stop and ensure you don’t get further injured. It also is just a few inches longer. So for all you lucky long legged folks out there, this is a real winner. Those few inches matter if you have a long stride! Well, the biggest difference between these two is that the tr5000i is not a folding treadmill. That means, making a permanent space for a big bulky machine. It also entails more work on your part to get a workout space ready. With the tr4000i you can put it practically anywhere, fold it up, and store it. The other difference between the two is that the tr5000i goes only up to 11 mph versus the 12 mph with the tr4000i. For all of you sprinters or die hard runners, you might need or want that extra mile per hour to match your pace comfortably. Simply put, that might be a deal breaker. There are quite a lot of differences between these two treadmills. Yes, the Sole f80 may be less expensive, but you really do get what you pay for in this instance. The Sole f80 only gets up to 11 mph versus the 12 mph tr4000i. Again, if you are an avid runner, this could be an issue for you. The Sole also has a wider surface area. This may be an advantage for those who are a bit wider set. However, more surface area also results in a bulkier machine and finding a space it can fit in. The tr4000i has goal oriented programs and a quick start button. These are huge advantages that the Sole f80 doesn’t surmount to. When you have a goal program, you are much more likely to stick to your program and reach your desired goals! Isn’t that why you want a treadmill in the first place? Another big feature that the Sole lacks is the automatic stop. Do you have kids? Think about how much they monkey around on, well, anything! If they would fall using this machine, they could really hurt themselves if it didn’t automatically stop. The F80 also doesn’t include a reading rack. I don’t know about you, but to keep myself going on a workout, I need a magazine or something to distract me and make time go faster. Practically everything we own now is USB compatible. This makes storing your workout information so much easier! The f80 doesn’t have a USB port making it difficult to upload music, data, and much more. Finally, the 21 workout programs the tr4000i offers is double what the Sole offers. The Lifespan will allow you to find the right program for you and fit well with your life. The f80 only has 10 options. The Sole f85 has very similar features to the f80. Read above for a run-down of the differences. However, the F85 does boast 4 HP over 3 HP with the Lifespan. The Sole also has a bigger surface area. Again, if you are in a big home with a work out room, maybe that makes a difference to you. For all of you city dwellers who have to be careful how much stuff you bring in your place, the sole f85 might not be the best fit for you. See the full Sole F85 treadmill review right here. Working out in itself is hard. You may have a schedule that doesn’t allow you to take a stroll outdoors whenever you feel the urge. Maybe you have very limited time to nourish your body with exercise. In any case, the Lifespan TR4000i is a great way to combat most exercise woes. Not only does it save you space by allowing you to fold it up and store it elsewhere, but it saves you time as well. Really think about how much time you spend getting ready to go to the gym, driving to the gym, working out at the gym, and driving home from the gym. It really adds up! Even if you can shave off an hour a day to just sit and have a glass of wine, isn’t that worth it?